CHBA Members have invested time and money into becoming better educated to be the best in their field. They are vested in themselves because they take advantage professional development and training, giving you peace of mind, that you are dealing with someone who will make your residential construction project go more smoothly and be more enjoyable. 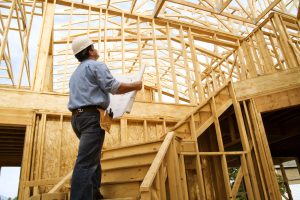 Members are knowledgeable of new regulations and laws that effect the residential construction and remodeling market. CHBA is a leading advocate to keep the cost of housing and remodeling at affordable levels for everyone. Members of CHBA are continually involved in community projects. Habitat for Humanity of Columbus, NE, Inc. The CHBA, through its memberships in the National Association of Home Builders (NAHB) and the Nebraska State Home Builders Association (NSHBA), is part of a strong web of home building and remodeling advocates who regularly work with our elected officials in Lincoln to support legislation that positively impacts our industry, and keep up on the latest trends on requirements/codes to protect the consumer/homeowner. Any business that is part of the Home building and Remodeling industry, or has a business relationship, is welcome to visit us and explore membership. If you’re looking to build a new home, or want to be a part of an organization committed to the integrity of the industry, visit us first. To request more information on becoming a member of the Greater San Antonio Builders Association or if you are a current member wishing to get more involved, please contact us and let us help you get the most out of your CHBA membership!